Oil on Canvas. Circa 1992. 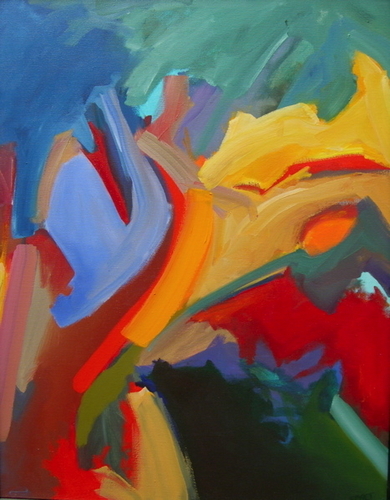 A part of a series that reflects a dynamic sense of color and form. Has faux black wooden frame.